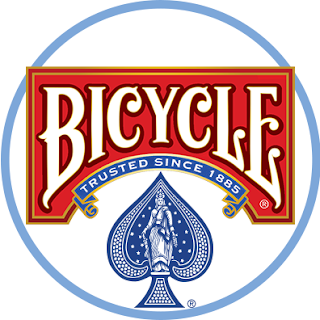 Hoyle and Bicycle are both very well known brands for playing cards. They have always been my own preferred brands. With many brands, the cards will begin to stick together after a few uses, making it next to impossible to shuffle through the deck or deal a hand of cards for a game. But that doesn't happen with Hoyle and Bicycle cards. They shuffle and deal as smoothly on your one hundredth game as the did on your first one. 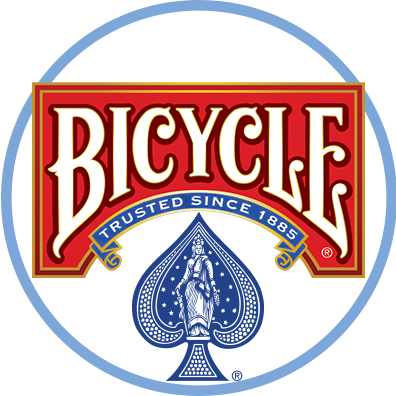 I specifically look for these brands when I shop for playing cards. 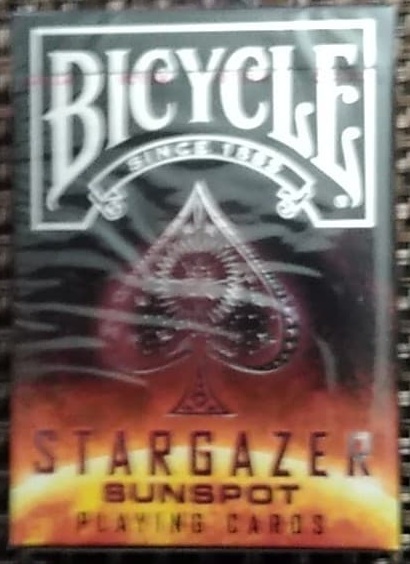 They make kid's card games as well as standard decks. 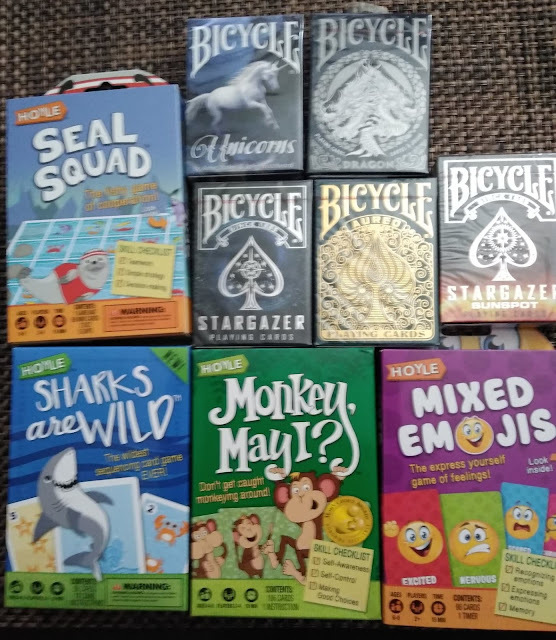 I got to try four of the Hoyle Card games for kids and my children loved them. They are Seal Squad, Sharks Are Wild, Monkey May I? 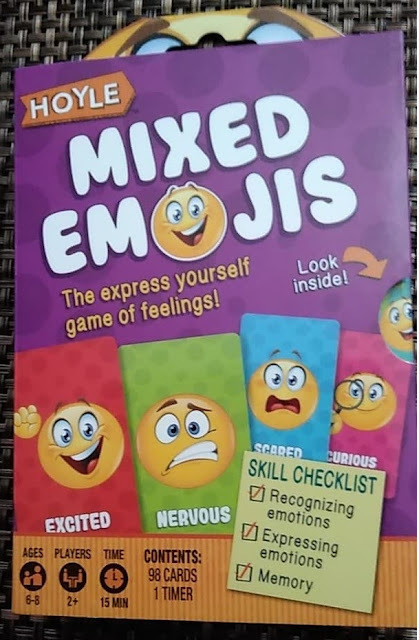 and Mixed Emojis. We had a lot of fun playing each one of them. You can find each of them HERE for the price of $5.99 each. Sharks Are Wild consists of 18 cards, 18 coins and an instruction sheet. It's easy to learn and lots of fun to play. It teaches number sequences to kids age 4 to 6. It can be played by two to four players and lasts about 15 minutes per game. 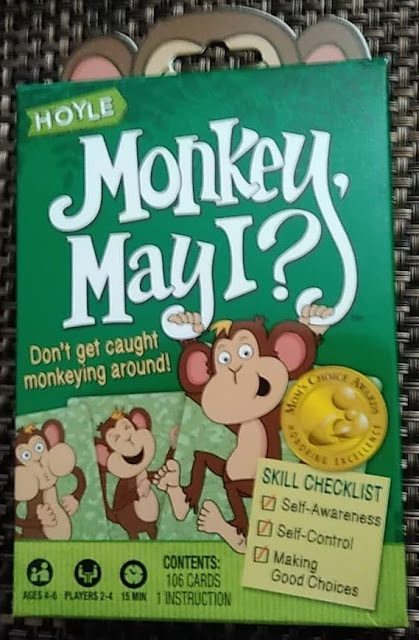 Monkey May I? consists of 26 green Monkey Action cards, 15 yellow Monkey May I? cards, 15 red Stop And Think cards and 150 Monkey Money cards. It helps kids age 4 to 6 learn to recognize and make good choices. 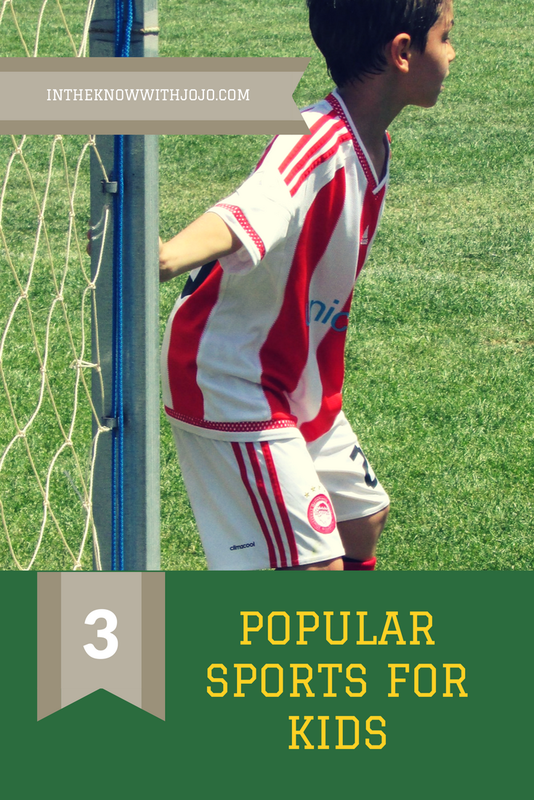 It is for 2 to 4 players and usually takes about 15 minutes per game. There are two levels of play so you can change it up once in a while. Mixed Emojis is a 2 to 4 player game for ages 6 to 8. The game can be played in 15 minutes or less and kids love it. The cards are very colorful with all the different emojis on them. I liked that this one was designed for a slightly higher age than the others. It helps kids learn to be self aware, to have self control and to make good choices. 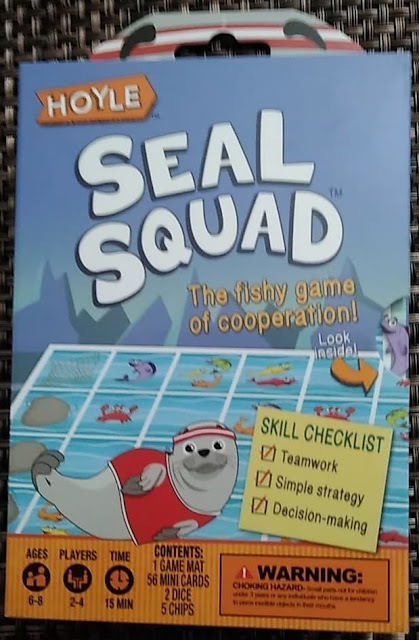 Finally we have Seal Squad. 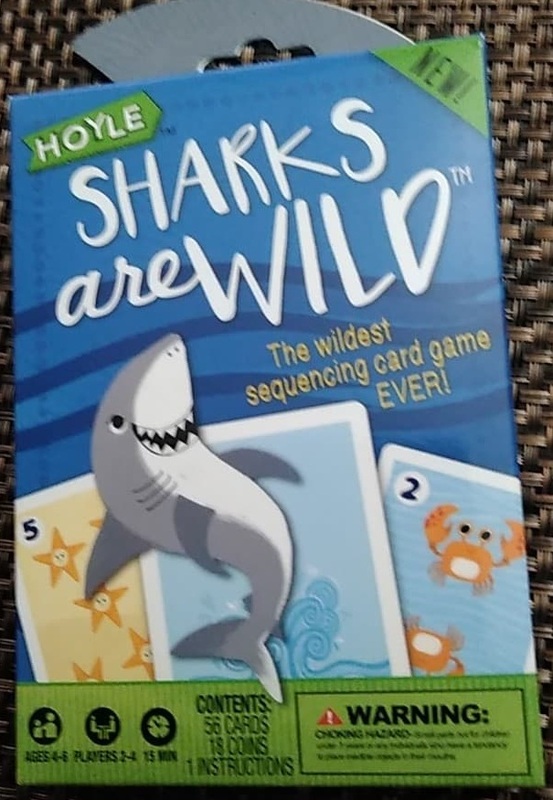 It is for 2 to 4 players age 6 to 8. So it is another one that is for a slightly older age group. It is simple to learn and set up. It ususally takes 15 minutes or less per game. It teaches recognizing emotions, expressing emotions and strengthens memory. 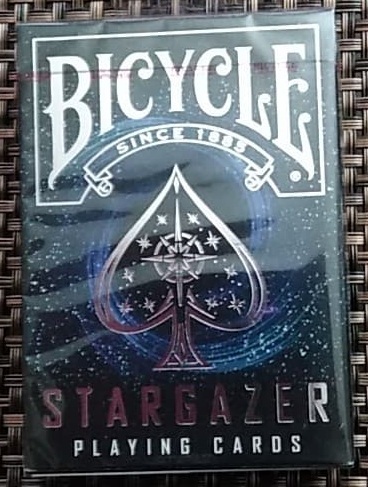 I was also able to try 5 different Bicycle standard decks. 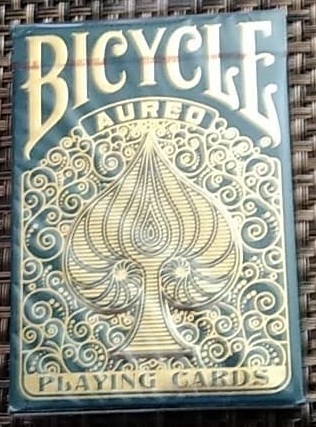 These decks are awesome. 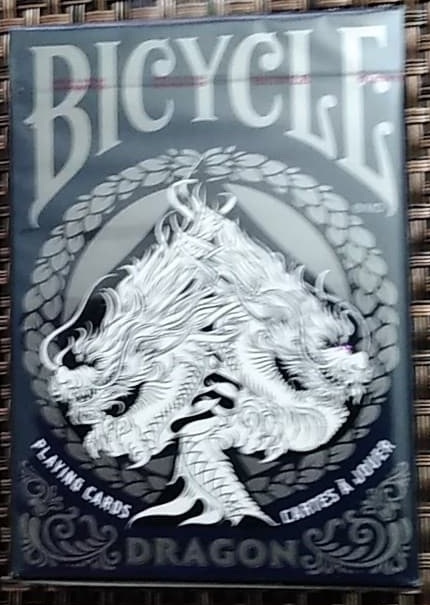 They are not just your ordinary blue or red backed cards. These are really nice. 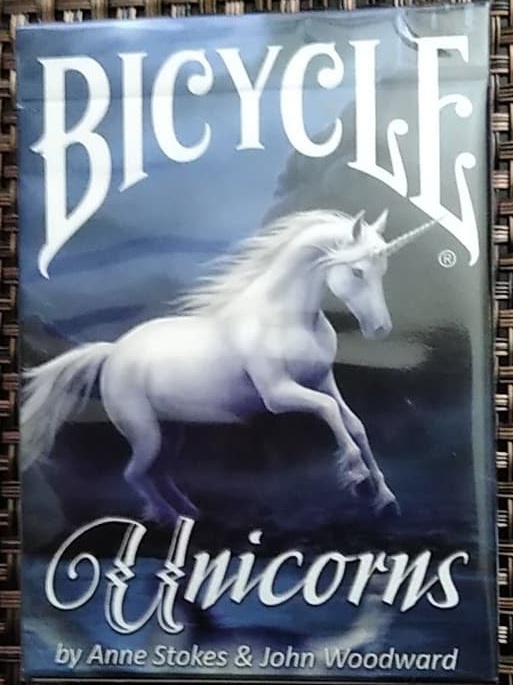 I got Aureo, Dragon, Stargazer, Stargazer Sunspot and Unicorns by Anne Stokes and John Woodward. These cards range from $4.99 to $5.99 each and can be purchased HERE.